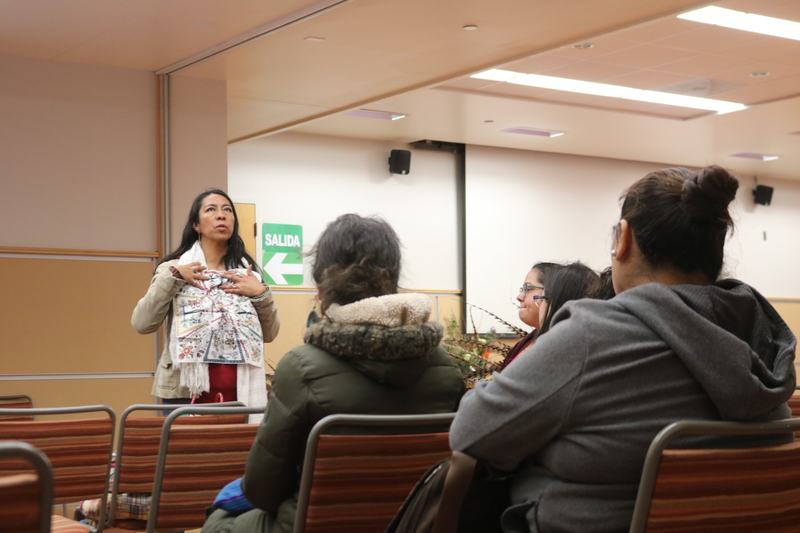 Toltecayotl, a student organization focused around community activism, held its 12th annual Mexika New Years Celebration on March 12 at City College’s Mission Campus, where members of various indigenous communities met to give thanks for this year and welcome the next. Mexika New Year is celebrated by indigenous peoples across the Americas who have followed the complex Mexica calendar system including Mayans, Aztecs and Mexicans alike. Organizer Xochitl Morales emphasized that this event was more than just a celebration of cultures, but a place to conduct a metamorphosis of transformational energy. 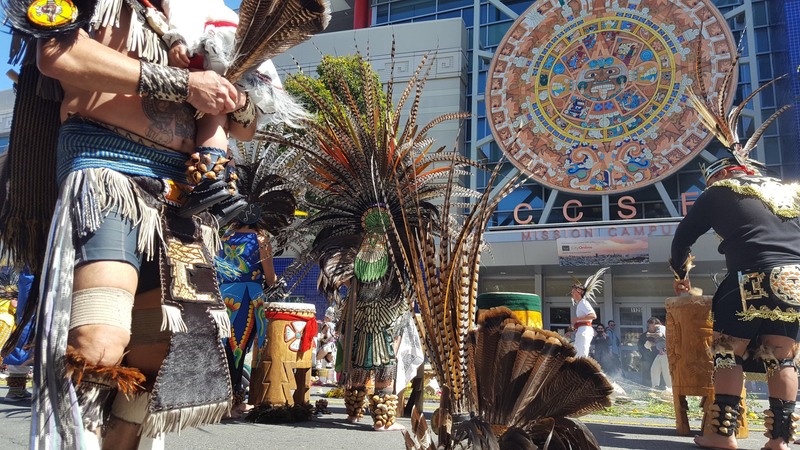 This collaborative space is home to several major components of traditional Aztec celebration: danza, live percussion, poetry open mic, and a community market filled with handmade jewelry. The ceremonial portion of this event was held in front of Mission Campus’27 foot replica of the ancient calendar, where attendees participated in a day full of sage cleansing and self-reflection. Veronica Iglesias facilitates an 5 card reading of the Jade Oracle at the mission campus’ celebration of the Aztec New Year. Based on ancient Mexican tradition, her reading consists of a deck of cards, presenting re-Hispanic deities, which serves to provide historical context and cosmic wisdom. 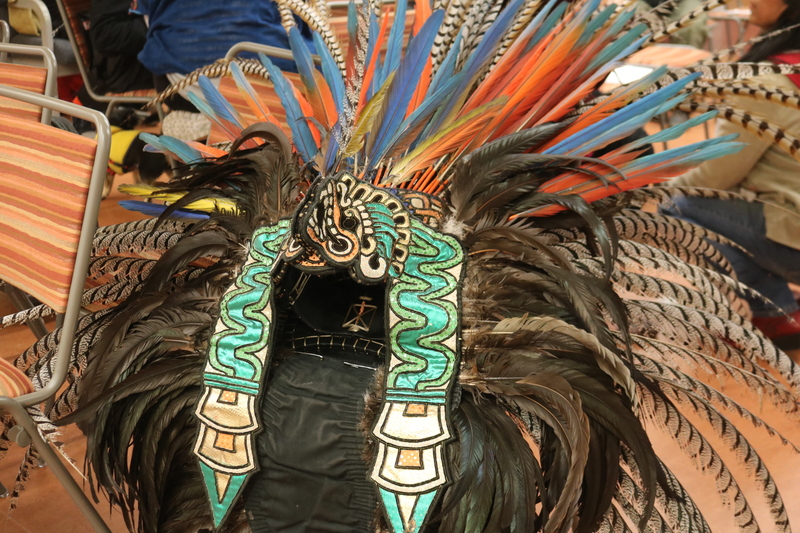 Professional danzantes construct an altar around City College’s Aztec calendar,adorned with Copilli on their heads and ayoyotes around their ankles. Percussion instruments are traditionally used to unite the attendees and introduce this year’s new cycle of life. Photo courtesy of Chikome Mazatl. A Copilli or headdress of a dazante lies unattended at the end of the new Year celebration. Its disk shape represents the expansive universe, and its feathers represent earned knowledge, experience, and community respect.